We decided to take a walk down to the corner store for some ice cream yesterday and I snapped this picture of my son. Right after I took this picture he opened this gate and started walking to the door of the house! haha. I explained to him people probably wouldn’t like that and we went on our way :). 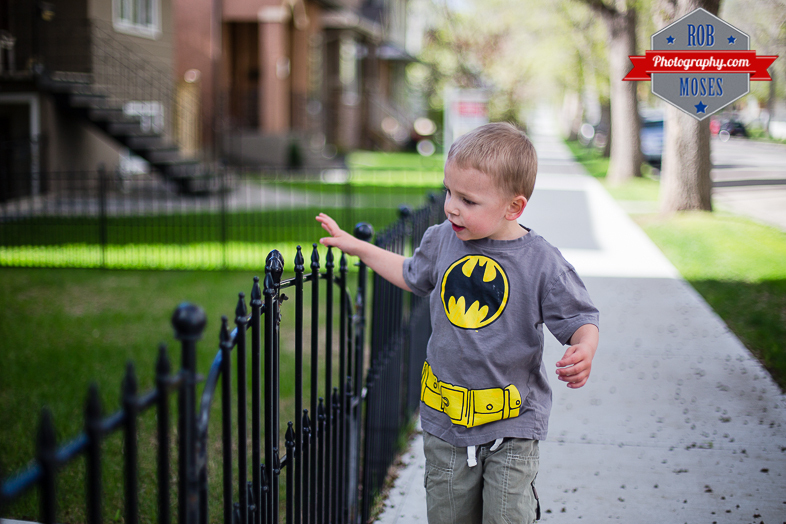 This entry was posted in People, Random, Street Photography and tagged 50mm, 6D, Alberta, Batman, beautiful, blur, Bokeh, boy, Calgary, Canada, Canon, child, City Life, family, fence, gate, Hero, kid, love, metro, Photography, pretty, prime, sidewalk, son, street, super, super hero, superhero, Urban, walk, walking, yyc. Bookmark the permalink. There’s a lot of Batman going around these days! Who’s going to chase Batman from their yard?! Cute. A Batman lover…this works for me! Great job!